This gold brass 1in. 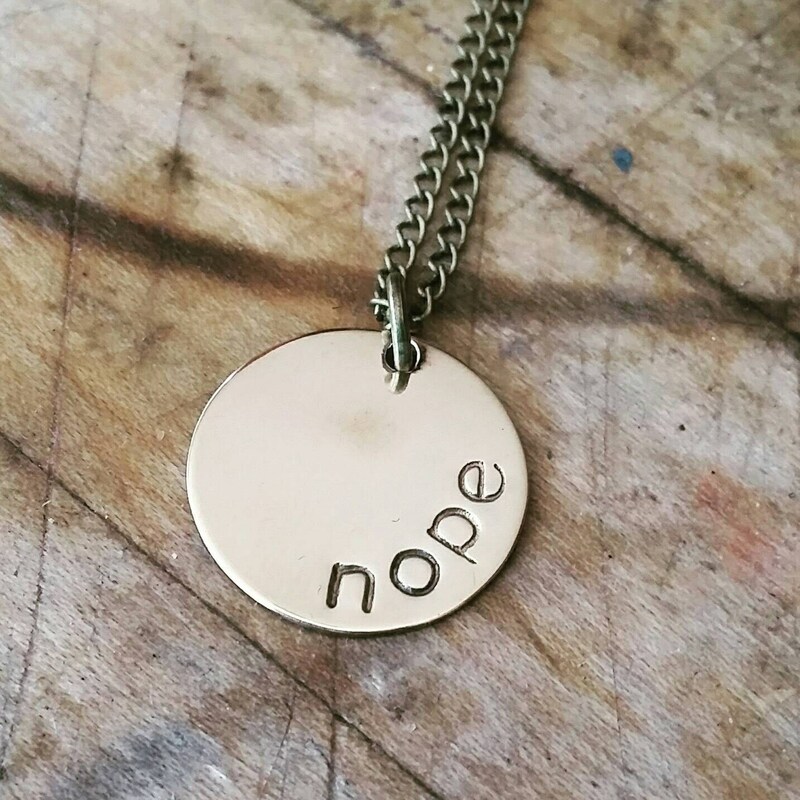 disc features nope handstamped. Comes with 18 inch chain.